While not every construction job will be the same, your dumpster rental experience should be seamless and dependable. Our company strives to provide customers with top notch service and low prices across the metro area. Call us today for an instant price quote and delivery window for your next dumpster rental. 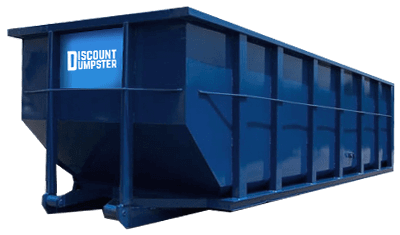 Our team of waste professionals is standing by to help you determine the right size dumpster for your project at the right price for your budget. Our simple ordering process makes it as easy as 1-2-3! Call us today to establish a relationship with a world class dumpster rental company. This size dumpster rental is typically used for mid sizes remodel projects, roofing jobs, garage clean outs, attic clean outs, and large landscaping projects. Great for large jobs where multiple truckloads of debris would be required to and from the disposal site. 30 yard dumpsters can handle most projects. When the 30 won’t cut it and you need the big one, bring on the 40! 8 foot sidewalls are prepared for any debris you can bring in. We’ve been renting dumpsters and we’re always excited to meet new customers with new construction projects. We strive for excellence and we’ll work hard to make sure your dumpster delivery goes smooth and as expected. Our competitive flat rate pricing is second to none, just like our service. Call us today! Rent a Roll Off Today! We deliver dumpsters to houses, malls, office buildings, retail stores, fields, and more. Call us any time to discuss your project and the appropriate dumpster size for your waste disposal needs. Our staff is knowledgeable and ready to help answer your questions about renting a dumpster in The Woodlands.